Since Olsen Chain and Cable started its operation in 1950, we have been the premier supplier of overhead lifting equipment. Our customers have come to trust the reliable products and broad industry expertise they find with us. Our founder, Gene Olsen, was an ironworker from the Twin Cities who started splicing wire rope slings in his garage. He sold these slings to local contractors and construction companies. As the area’s construction industry grew, so did his business. And now, nearly 70 years later, we continue to grow. 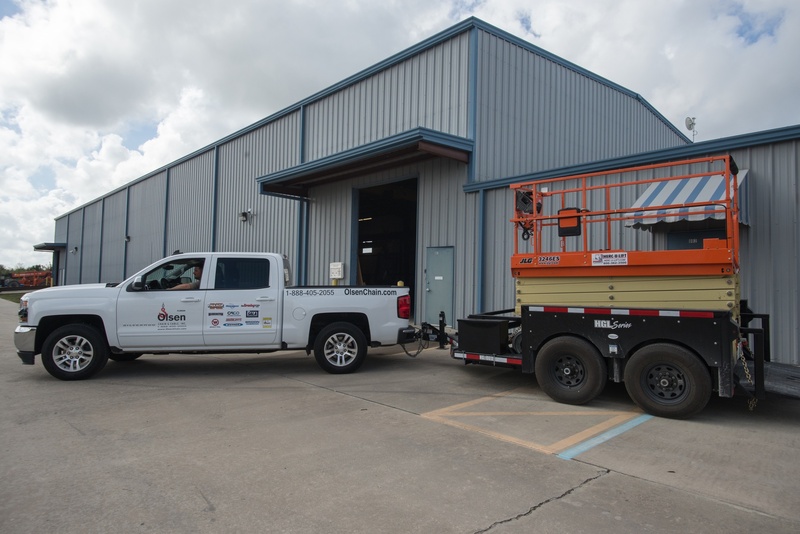 And we continue to provide exceptional, American-made overhead lifting equipment to our customers, with the safety, reliability, and service they depend on. Olsen Chain & Cable is aware that the security of your private information from the use of our website is an important concern. We take the protection of your personal data very seriously and demonstrate a strong commitment to online privacy. In acknowledgment of that commitment, we have adopted a comprehensive policy to safeguard the privacy of all visitors to the Olsen Chain & Cable website. Olsen Chain & Cable uses technical and organizational security precautions to protect your data from manipulation, loss, destruction or access by unauthorized persons. We do not collect, process or use on our website, any information relating to an individual whom we know to be under 13 years old, without the prior, verifiable consent of his or her legal representative. We do not give children the ability to post or distribute personal information without prior consent. We do not entice children with games or contests that would encourage them to disclose personal information. This site contains links to other sites. Olsen Chain & Cable is not responsible for the content or privacy practices of these sites. We store data on our servers for various security reasons. This data may include the name of your Internet service provider, click sources, the websites that you visit from our site and your Internet Protocol (IP) address. This information can be used to help diagnose problems with our server, to administer our website, to help identify you and to gather broad demographic information. The data we collect will only be used for the purpose of supplying you with the requested products or services, company marketing purposes or for other reasons for which you have given your consent, except where otherwise provided by law. Avoid downtime and safety hazards with our lifting equipment inspection services. Get equipment fixed right the first time with our hoist and hydraulic pump refurbish services. Balance budgets and regulations with our OSHA compliance consulting.